Notes from presentations, conferences, festivals and other public events where Future Fabulators made an appearance. Biennale des Bewegten Bildes. contemporary narrative with a concentration on moving images. 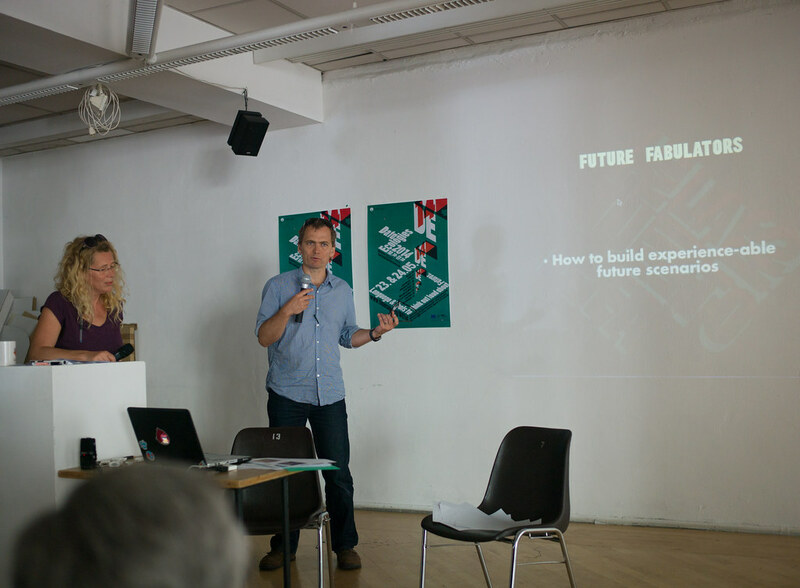 Sarah Neville and FoAM talk about Weatherlore and Future Fabulators at Adhocracy residency, based on the culture_as_cult scenario at Vitalstatistics in Adelaide, Australia. For more information see the transcript of the talk. Future-Oriented Technology Analysis, FoAM participation in several workshops and follow-up collaboration with the Foresight & Behavioural Insights Unit of the EC DG Joint Research Centre, exploring the possibilities of the unit's policy lab (closed workshop on the 21st of April, at JRC, EC, in Brussels). Future Agenda on the Future of Data, workshop part of the Future Agenda, a leading open foresight programme.